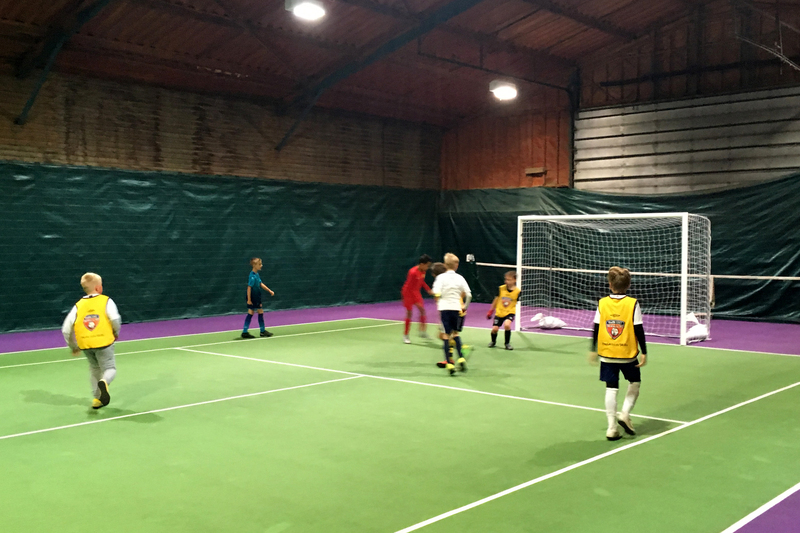 World-renowned players like Lionel Messi, Cristiano Ronaldo, Xavi Hernandez and even Pele, are among the hundreds of international icons who grew up playing the small-sided game, recognised by FIFA as the official form of five-a-side football. 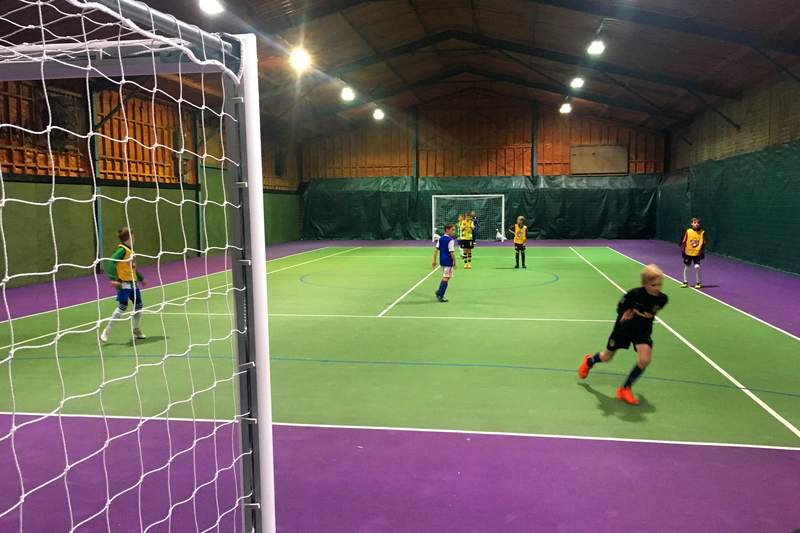 Now, at our new Futsal venue on the Essex and Suffolk border near Colchester, boys and girls from aged six and up can learn to play Futsal with JBFC and take their technical development to another level. 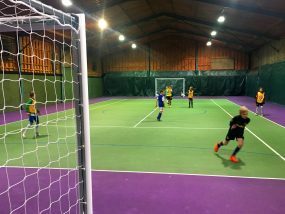 Futsal is a five-a-side game, played on a flat court, usually indoors, with goals similar to those used in hockey, while the ball is size four, with a reduced bounce. 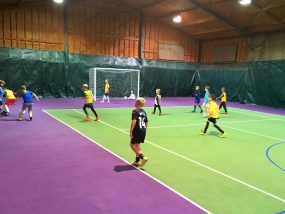 It is played to touchlines and all players are free to enter the penalty area and play the ball over head-height. Games are 20 minutes per half, played to a stopping clock (similar to basketball) with time-outs permitted. 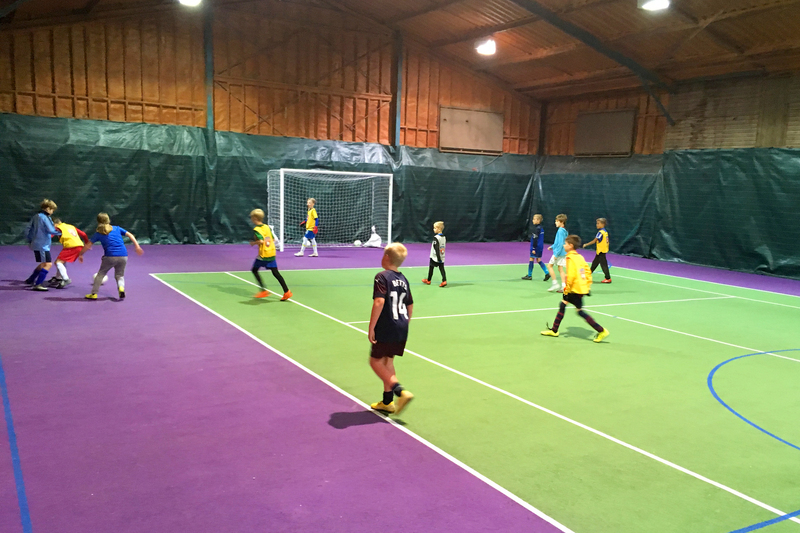 Futsal is unlike the version of small-sided football played in England, due to the absence of rebound boards and rules that encourage skillful, creative play more than the physical contact and rough and tumble of regular five-a-side. 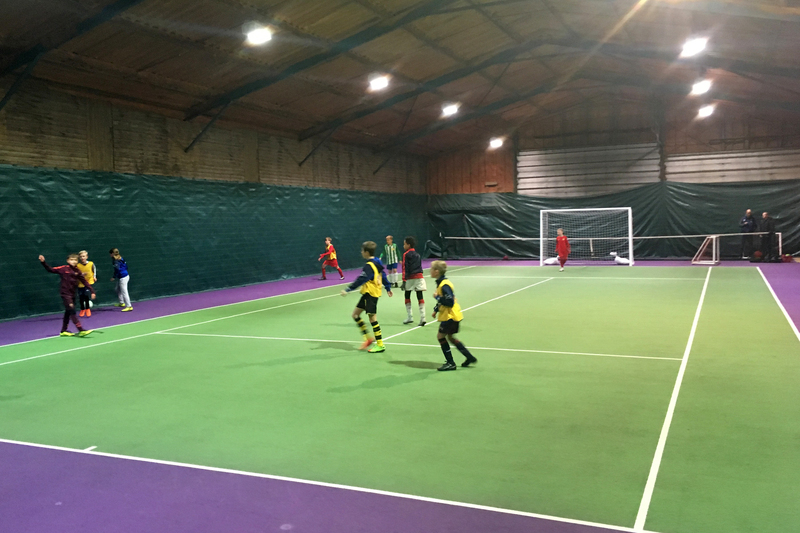 Futsal is an exciting, fast-paced football game which is widely played across the world and is excellent for developing players to transfer their learned skills into eleven-a-side football. Games are played to the boundary lines, with a kick-in when the ball goes out of play, rather than a throw, or rebound boards. 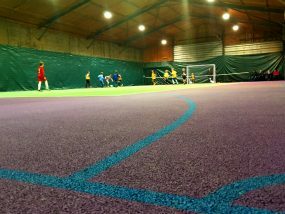 Futsal is played on a court equipped with a firm, flat surface, generally indoors, and the ball is smaller with less bounce. Though teams are only allowed five players on the court at once, unlimited substitutions are allowed during a game. 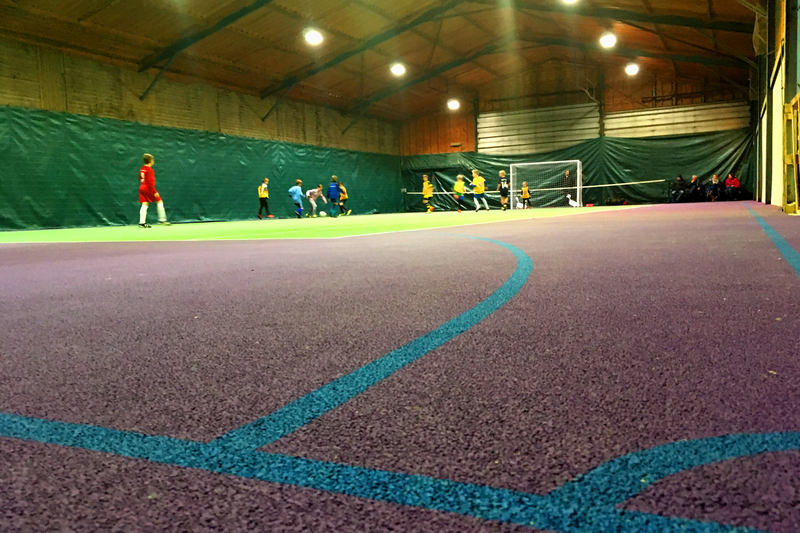 Futsal matches comprise two halves of 20 minutes, and the clock stops when the ball is out of play. So 40 minutes is 40 minutes. If the ball goes over the sidelines, play is resumed with a kick-in, while keepers restart play with a throw, rather than goal kick. 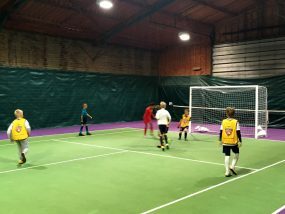 Goals are similar to those used in hockey, measuring 3m wide by 2m high, unlike the short but wide goals used in five-a-side. “As a boy in Argentina, I played futsal on the streets and for my club. 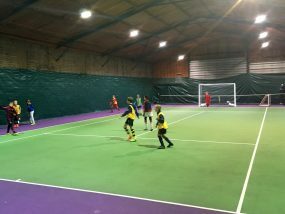 It was great fun and it really helped me become who I am today"
Do you want to get involved in Futsal?